New BBC Two/HBO comedy from Christopher Guest announced. 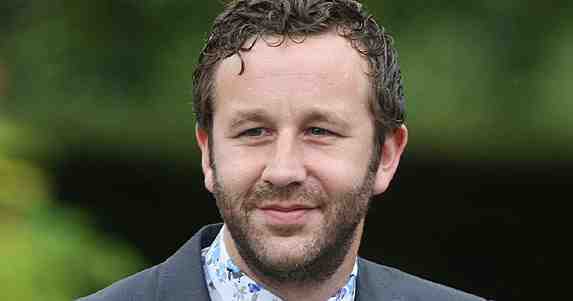 Irish actor Chris O’Dowd is to star in Family Tree, a new 8-part BBC2/HBO comedy series co-written and co-created by Christopher Guest (Best In Show, Waiting For Guffman, This Is Spinal Tap) and Jim Piddock (Best In Show, Too Much Sun, Independence Day). Chris O’Dowd will be joined by Nina Conti (For Your Consideration, Her Master’s Voice) in the role of his sister Bea, and Tom Bennett (The Hunt For Tony Blair, Phoneshop) playing his best friend Pete. Also appearing are Ed Begley Jr., Maria Blasucci, Matt Griesser, Don Lake, Michael McKean, Lisa Palfrey, Amy Seimetz and Fred Willard, as well as co-writers/co-creators Christopher Guest and Jim Piddock. Family Tree follows the world and journey of 30-year-old Tom Chadwick (Chris O’Dowd). Having recently lost his job and girlfriend, Tom has a rather unsure sense of his own identity. But when he inherits a mysterious box of belongings from a great aunt that he never met, he starts investigating his family lineage and uncovers a whole world of unusual stories and characters and a growing sense of who he is and who his real family are. Family Tree will be a single-camera, improvisational, documentary-style comedy, a style that Christopher Guest’s films have pioneered. The series is Directed by Christopher Guest, the executive producers are Christopher Guest, Jim Piddock and Karen Murphy for Lucky Giant and Chris Sussman for the BBC. Filming of ‘Family Tree‘ will continue until early 2013, on location in the UK and Los Angeles, to air on BBC Two and HBO in Spring 2013. Thought Chris was Irish ? He is! Most actors/producers seem to be tying with the US these days. Christopher Guest obviously doesn’t know the difference.